With that glow, StateCraft Inc. has officially made our media group, RED one of the leading communication and consulting firms on the continent — working across Ghana, Kenya, Sierra Leone and Senegal, in addition of course to Nigeria — and, without a doubt, the leading elections and governance consulting company in these parts. But what makes us proudest is the thing that came easiest to us — this is a completely homegrown African company. Our ambitions have always been global, our vision has always been African, our sights have been set across borders, but we are completely made-in-Africa. But it’s still a small miracle isn’t it? The chief executive officer of the group, Adebola Williams has delivered keynotes and sat at panels at Harvard, Stanford, Columbia, Oxford and Yale including a standing ovation from President Barack Obama. I have been privileged to do the same across these schools and to be selected for programmes at Yale and Oxford and Stanford. Our team members from Isime Esene to Remi Ogunkayo have also had this privilege by virtue of our work. But we are all home-made African products. We set out to build a global company, and — pulling ourselves by the bootstraps without debt, investment or any other kind of intervention — we see ourselves steadily doing that, even as we are just now scratching the surface of the scale of our vision. The Future Awards Africa already spread its reach across over a dozen countries in the past 13 years since it moved from idea to institution — it is set to hold its first franchise event in Ghana this year. 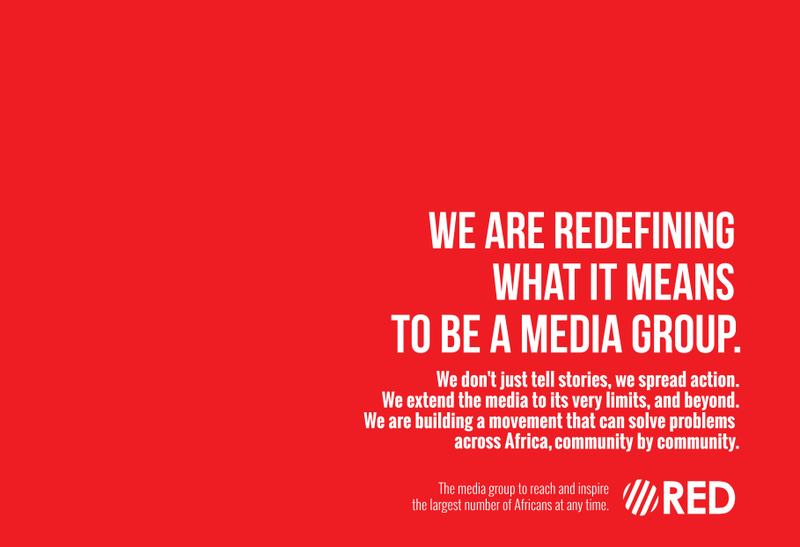 Our Media and Public Relations Agency, Red Media Africa has also worked for clients across markets from Ghana to South Africa. This network of media companies continues to be as focused as it ever was on one mission: being the media network that can galvanise the largest number of Sub Saharan Africa’s youth at any time. The vision includes a massive continental network of television, event and digital platforms supported by a web of communication and consulting companies. It is, we dare say, the kind of media company that has yet no model to follow, and a path that we are clearing with both confidence and trepidation, humility and a sense of pride. And to do that, we have blazed a trail in creating a global best-practice institution that takes a keen interest in its systems and processes. A historic handover of the group chief executive position in 2016 has also led to the appointment of chief executives across the companies under the group on the inside, and a process of internal engineering from one of the most dedicated + driven teams you will find anywhere has created a sparkling brand on the outside.